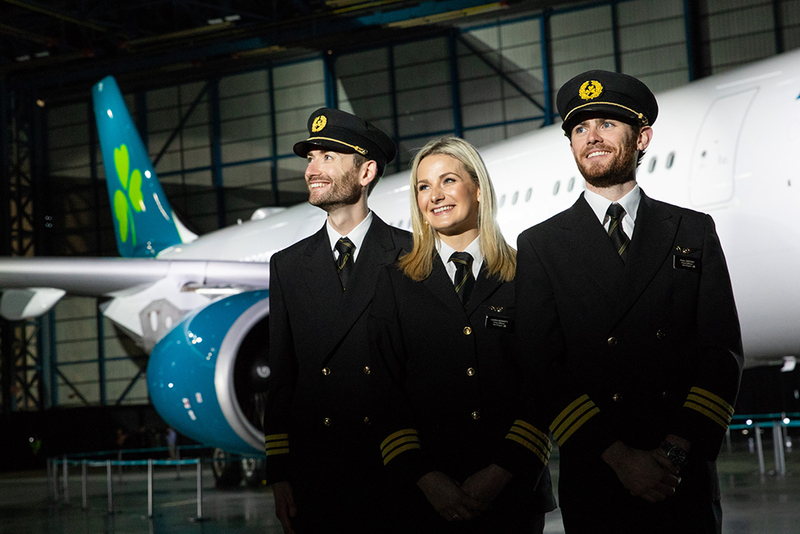 In what is one of corporate Ireland’s biggest brand overhauls in recent years, Aer Lingus has unveiled a refreshed brand with updated logo and new aircraft livery. The brand refresh was created by Lippincott, the New York-headquartered creative consultancy which has extensive airline experience having most recently worked on Delta, Southwest, and Hawaiian airlines. The lead designer on the project was Dublin native Brendán Murphy who has been working with Lippincott in New York for over 20 years. According to Mike Rutter, Chief Operating Officer, Aer Lingus: “The Aer Lingus brand has evolved significantly over the last number of years. Since 2015, we’ve invested significantly in our business, improving our value proposition and overall guest experience and becoming Ireland’s only four star airline. Innovations that we have introduced include the roll-out of WiFi on our A330s, automated check-in and bag drop at Dublin Airport, Business Class improvement with fully lie-flat beds and economy catering upgrades. We’ve also enhanced our performance to become the most punctual airline at Dublin Airport.